Constantly-changing immigration laws and policies create unreasonable roadblocks that can tear families apart and prevent good employees from working in the U.S. To successfully advise you, we consider both the laws as they exist and the possibility for beneficial — as well as harmful — reforms. We stay current on shifts in immigration law and remain ready to act upon potential changes in the pipeline. Please read the latest immigration news in our bimonthly immigration newsletters. We view our work as a mission, not simply a job. We advocate for the administration of just immigration policy and the rights of individual immigrants. 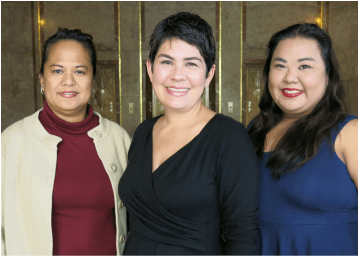 In her role as Hawaii Chapter Chair of the American Immigration Lawyers Association (AILA), Maile M. Hirota sought to influence policy that affects the immigrant community. Every year since 2008, Maile’s peers have chosen her for the prestigious Best Lawyers in America publication in the field of immigration law, and she was selected as Best Lawyers’ Lawyer of the Year in Immigration Law in Honolulu, Hawaii for 2015 and 2018. Hirota & Associates has been ranked by US News & World Report in the First Tier of “Best Law Firms” in Hawaii in the field of Immigration Law each year since 2016. To best serve our clients, we offer legal services in English, Tagalog, Ilocano and Japanese. Our Office hours are Monday through Friday from 8:00 a.m. to 5:00 p.m. Early morning, evenings and weekends by appointment only. Our normal office hours are Monday through Friday from 8:00 a.m. to 5:00 p.m. Times outside these hours may be available by appointment only.